Oscar Wilde’s notorious novel is presented in this tense, full-cast audiobook adaptation, dramatised by David Llewellyn. The release also includes the first episode of 'The Confessions of Dorian Gray: This World Our Hell' and a selection of James Dunlop’s music from the series. Would you consider the audio edition of The Picture of Dorian Gray to be better than the print version? Of course not. The picture of Dorian Gray is one of the masterpieces of English literature. No narrator can do justice to the beauty of the prose. Lord Henry Wotton. You can memorise everything he says and include it in any speech that you have an opportunity to give. But Dorian Gray was the best performed. A critical scene which would entirely spoil the story for people who haven't read the book. There's a reason why I didn't get the unabridged version of the audiobook. Actually I did buy one initially after selecting the best sounding sample and was so disappointed with the narration that I had to return it. The Picture of Dorian Gray cannot be narrated "as-is". The prose is way too beautiful for any narrator to do justice to. Instead the dramatised version captures the mood, the thrill and the dark tones of the book perfectly. The actors have done a remarkable job in exploiting the essence of the plot. The background sounds and music make the story come alive. 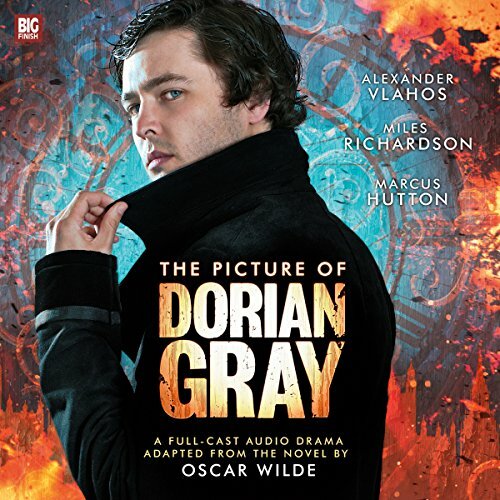 Incredibly well produced and perfectly performed, The Picture of Dorian Gray is quite simply, amazing. I have now developed a new respect for dramatised versions of novels. This dramatised version is a must have. Great adaptation! Excellent voice actors, they fit the characters perfectly. Music adds to the feel of the story. Highly recommend. fantastic diction and character work. lovely job by all. sound dropped a bit to low during the flashbacks but that could have been my device. Nice adaptation, with some tidbits at the end for fans of the series Confessions of Dorian Gray. Note It's only about two hours of story though. Love the story of Dorian Gray. Fantastic story. Loved it and loved the film. Looking forward to The Confessions of Dorian Gray..
Would you consider the audio edition of The Picture of Dorian Gray (Dramatized) to be better than the print version? I don't consider it better, just another way to enjoy the book. I have not listened to any other narrations by Alexander Vlahos but I will now. He brought a lot to this wonderful novel. No. I bought it to tap into when I can and have really enjoyed it. Brilliant novel. Brilliant narrator. Mr Vlahos has a smooth voice and was very easy to listen to. Definitely a find.